Cleanliness is paramount to food processing. 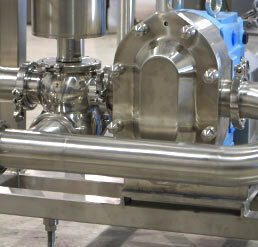 The ability to safely clean food processing equipment and to depend on the cleanliness is extremely important. When our clients choose our team, they know they can trust them to do the job right. You can depend on us… we only design and build with non-ferrous metals. Every component we use is food grade approved. These critical promises has gained the approval of many clients. It’s the reason we are often selected above our competitors. Whether you need a certified access platform, a transfer conveyor or a process tank, Advanced Stainless custom-builds your solution using the highest quality materials while adhering to industry standards. We are well known for our expertise in maintenance and cleaning solutions.